Camfed’s vision is of a world in which every child is educated, protected, respected and valued, and grows up to turn the tide of poverty. As the most effective strategy to tackle poverty and inequality, Camfed multiplies educational opportunities for girls and empowers young women to become leaders of change. 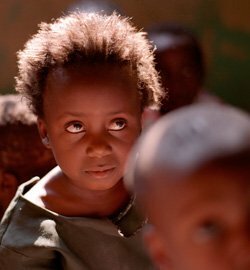 Our focus is on girls and young women in rural areas of sub-Saharan Africa. This is where girls face acute disadvantage and where their empowerment will have a transformative impact. 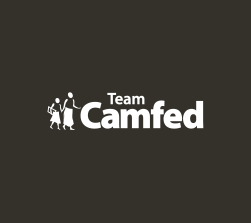 Camfed bases its work and policies on principles enshrined in the UN Convention of the Rights of the Child and subsequently in the resolution “A World Fit For Children.” These principles put children first, protect children, encourage participation of children and work to end poverty. Our approach to child protection follows standards outlined in “Setting the Standard: A Common Approach to Child Protection for International NGOs,” developed through extensive consultation with INGOs that has been endorsed by the UK’s Secretary of State for International Development. The standards are based on a set of principles derived from the UN Convention on the Rights of the Child. 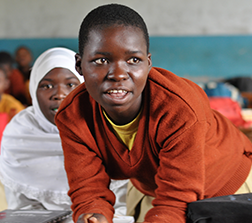 Camfed incorporates child protection into its strategy, structures and working practices. Our organizational ethos values and respects all children and young people. We work in consideration of the whole being of the child or young person, including their physical, material and psychological well-being. The welfare of children and young people comes first in all our work. We believe that communities can protect children from abusive situations, and we work to build their confidence to deal with these situations. We recognize that girls are especially vulnerable to abuse and that they require special protection. We believe empowering girls is the foundation for enabling them to be less vulnerable to abuse of any kind. 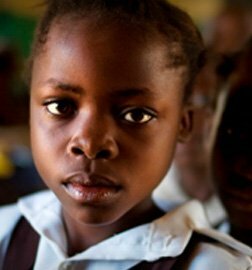 A key element of our program policy is that girls develop the confidence to reduce their exposure to abusive situations. We recognize that abuse can take many forms including physical, emotional, sexual or through neglect. Our procedures and processes take account of the different forms which abuse can take. All our employees and program activists have a duty to act if children are not being protected. We work actively with all stakeholders to spread best practice in the protection of children, especially girls. Camfed's Child Protection Policy is reviewed regularly and ratified by the Camfed International Board annually.